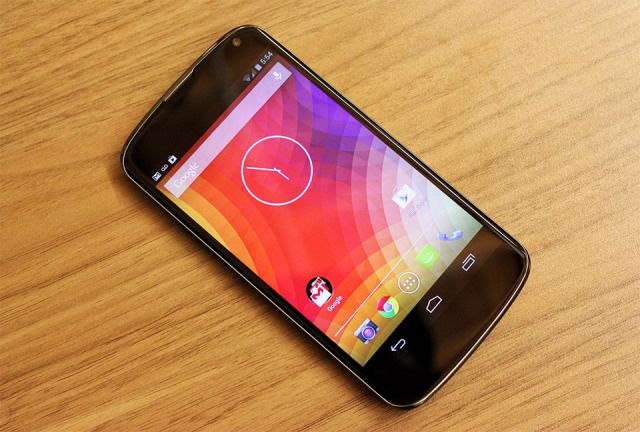 Google’s newest smartphone, the Nexus 4, is getting spectacular reviews around the world. So far, the only real complaint about the smartphone is that it’s too hard to buy. Google sold out of the Nexus 4 soon after it went up for sale on the Play Store. In response to that surge of demand, Google sent out another wave of the Nexus 4. That wave didn’t last long. The Play store soon sold out, and shoppers were greeted with the dreaded “five to six weeks” shipping notification which indicated their new smartphones were a long ways away. That “five to six weeks” soon turned into “nine to ten weeks”. Apparently, anything beyond that range is the Play Store’s limit, because the Nexus 4 was marked “Out of stock” after that (which is where it currently sits). Now, it’s expected that the new Nexus 4 will take approximately 3 months (!!!) to get into the hands of consumers. 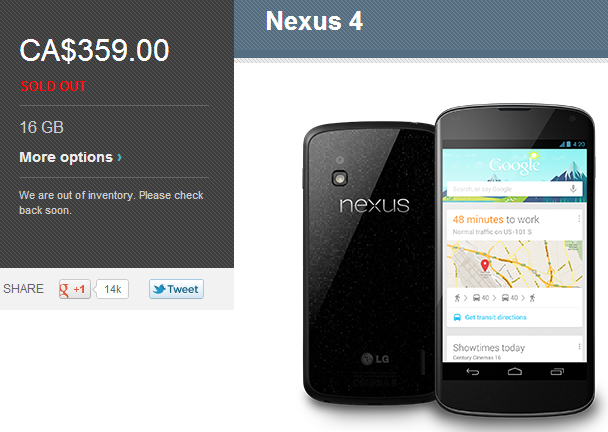 The 8GB Nexus 4, which costs $299.00 is sold out. But the 16GB is still in stock for $359. 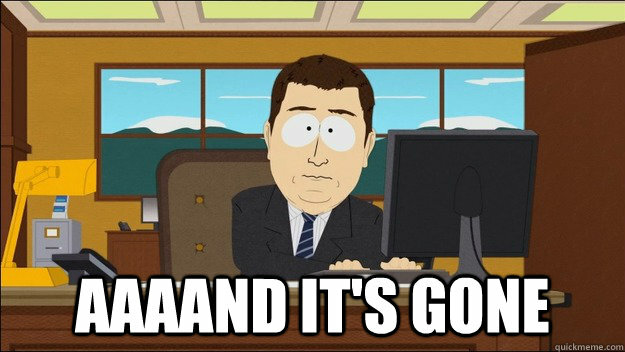 On December 1st, the 16GB Nexus 4 was in stock. But now Google is displaying the same “out of inventory” warning it shows on the 8GB Nexus 4 page. So yeah, you’re out of luck if you want any sort of Nexus 4 smartphone. Tech analysts are criticizing Google for shooting itself in the foot with the Nexus 4. It’s a powerful, affordable smartphone that has the potential to steal significant market share away from Apple, but nobody can buy it because they didn’t manufacture enough copies. But then again, maybe this is an elaborate sales ploy by Google designed to artificially increase the demand. Maybe they only made 100 Nexus 4 smartphones and they sold out so quickly that everybody thought the smartphone was wildly popular.